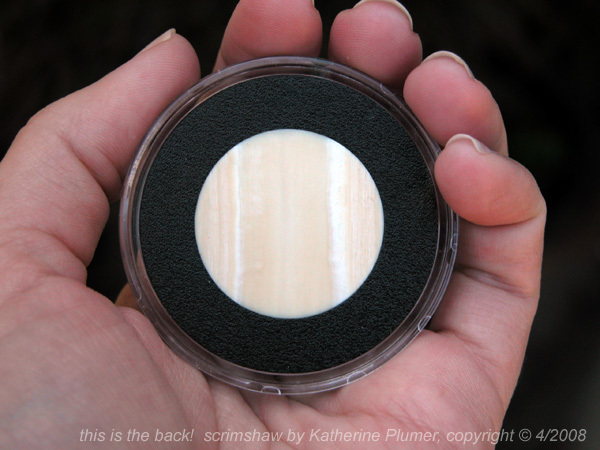 My life, under the microscope...: Scrimshaw done! Finished last night. This will be for sale on ebay in a week or so (I need to let the ink dry).